You don't know how lucky you are. These seven words they had heard their parents say a hundred times before. They had been uttered so many times that the words had become stale and cliche. Yet, for some reason when Reyela spoke them, they took on an entirely new life. The only difference that could have possibly been was that Reyela knew what it was to be lonely. While walking around Meri Acres Farm, a Yellow Wocky with a stylish mohawk approaches you and asks for your help counting potatoes. You figure, how hard can that be? Little do you know that this particular Wocky likes to count potatoes in a rather extreme fashion. At this point you may start to worry just a little bit, but no need to fear! It just so happens you have stumbled across some Extreme Potato Counter professionals. Our goal here is to help make counting these potatoes as painless and easy as possible. Many Neopets in Neopia take on the responsibility of caring for their very own petpet, but did you know that these miniature beasts also appear in a number of games? 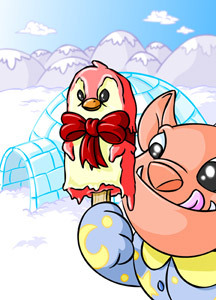 This two-part article will list some of the games currently available that feature petpets, and give each a peril rating as follows: *: No petpets are harmed in this game **: Minimal fear or danger ***: Some danger involved ****: A little more scary with serious consequences *****: Maximum danger, petpets may get eaten! Most Neopians will agree that one of the most expensive features on this site is painting your pets. What if I told you having the beautiful Neopet of your dreams didn’t have to mean smashing your virtual piggy bank or spending all your time gaming? With this article, I’m going to show you how you can achieve lovely painted pets without sinking millions of your hard-earned Neopoints! Weak Bottle Faeries - pet owners of Neopia think nothing of us, really. In our home, we can’t send you on quests or wait for you in a beautiful glade. Sure, we bless you with a special power that can help in battle, and be a really good night light when it gets dark. But for the most part, we simply sit, wait, and wish to be uncorked. For the most part. But it’s time that someone inform you about what it is we really do. Bottled Faeries are an anomaly of our own kind, because in our bottle, we don’t exist under the same rules that other citizens of Neopia do. It’s true – we can do whatever we want. And that makes us quite interesting for a trapped little thing, doesn’t it? In our respective bottles, we rule our own world, and most importantly, we observe yours too. Cadria was not your average Aisha. Born into one of Neopia"s most powerful families, Cadria was the heiress to a small fortune, and the hefty expectations accompanying such wealth. Yet, Cadria was not your average rich Aisha either. 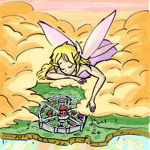 Cadria, much to the exasperation of her high-flying parents, was rather, well… difficult. "Difficult?!" she had screeched, the first time her mother had used the term. "Difficult?! I"m not difficult!" She had proceeded to flounce, seething, to the other side of the family"s stately library – for the whole situation had arisen as a result of Cadria"s mother pleading with the young Aisha to please take more interest in books, sweetheart – where she had begun to hurl tome after tome from the shelves. Why can't it always be cold? The sisters treaded through lush green meadows, enjoying the vibrant voices of the birds as they approached their new home in Brightvale. The comforting breeze loosened leaves from their branches and danced upon the ladies' skin. Their hair twirled in the wind, reflecting bright sunshine. The grass was slightly dewy from the previous night's rainfall. When they reached their beautiful abode, they gazed in awe at its contents. “This place is amazing!” Illere gasped as she gazed at the breathtaking scenery. She looked up at the bright blue sky and the puffy white clouds. The sight of daisies blooming on the vast green meadow made her smile, and yet she couldn’t help feeling a chill go down her spine. Drawn by Preshus_8 the baby kougra for her big sister the "Bestest knight ever!"